While in school, Jayaprakash read magazines like Saraswati, Prabha and Pratap, books like Bharat- Bharati, and poems by Maithilsharan Gupta and Bharatendu Harishchandra which described the courage and valor of the Rajput kings. Jayaprakash also read the Bhagwad Gita. He excelled in school. His essay, "The present state of Hindi in Bihar" won a best essay award. He joined the Patna College on a Government scholarship. Jayaprakash was married to Prabhavati, daughter of lawyer and nationalist Brij Kishore Prasad in October 1920. Prabhavati was very independent-minded and on Gandhiji's invitation, went to stay at his ashram while Jayaprakash continued his studies. Jayaprakash, along with some friends, went to listen to Maulana Abul Kalam Azad speak about the Non-cooperation movement launched by Gandhiji against the passing of the Rowlatt Act of 1919. The Maulana was a brilliant orator and his call to give up English education "like leaves before a storm, (Jayaprakash was) swept away and momentarily lifted up to the skies. That brief experience of soaring up with the winds of a great idea left imprints on (his) inner being." Jayaprakash took the Maulana's words to heart and left Patna College with just 20 days remaining for his examinations. He joined the Bihar Vidyapeeth, a college run by the Congress. After the Chauri Chaura incident in eastern Uttar Pradesh, the Non- cooperation movement was suspended. Most students returned to their colleges. After exhausting the courses at the Vidyapeeth, Jayaprakash decided to go to America to pursue his studies. At age 20, Jayaprakash sailed aboard the cargo ship Janus while Prabhavati remained at Sabarmati. Jayaprakash reached California on October 8, 1922 and gained admission to Berkeley in January 1923. To pay for his education, Jayaprakash picked grapes, set them out to dry, packed fruits at a canning factory, washed dishes, worked as a mechanic at a garage and at a slaughter house, sold lotions and accepted teaching jobs. All these jobs gave Jayaprakash insight regarding the difficulties the working class faced. Jayaprakash was forced to transfer to Iowa State when fees at Berkeley were doubled. He was forced to transfer to many universities thereafter. He pursued his favorite subject, Sociology and received much help from Professor Edward Ross, the father of Sociology. In Wisconsin, Jayaprakash was introduced to Karl Marx's "Das Capital". News of the success of the Russian revolution of 1917 made Jayaprakash conclude that Marxism was the way to alleviate the suffering masses. He delved himself into books by Indian intellectual and Communist theoretician M.N. Roy. His paper on Sociology, "Social Variation", was declared as the best of the year. Jayaprakash had to cut his doctorate short when news came that his mother was seriously ill. Jayaprakash returned to India in November 1929, "a mature young man with an enquiring mind, original in his thinking, and with the fierce, idealistic desire to devote himself to serve society." For Jayaprakash it was not enough that the nation attain political freedom. To him, the definition of freedom was freedom from hunger, poverty and ignorance. While Jayaprakash became a believer of the Communist school of thought, Prabhavati became an ardent Gandhian. He respected Prabhavati's choice and did not force her to change her views. In 1929, both Jayaprakash and Prabhavati left for the Congress session at Lahore under Jawaharlal Nehru's presidentship. There Nehru invited Jayaprakash to join the Congress, an offer that Jayaprakash gladly accepted. 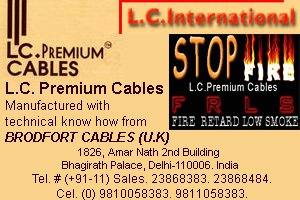 He began work in the Labor Research Cell of the Congress at Allahabad. Following the 1930 Dandi March, most of the top Congress leaders were arrested. Jayaprakash immediately set up an underground office at Bombay to continue Congress work. He traveled all over the nation, printing, distributing and organizing secret meetings. After an underground meeting of the Congress Working Committee in Banaras, Jayaprakash went to Madras where he was arrested. The next day the newspaper headlines screamed, "Congress Brain Arrested!" In the Nasik jail, Jayaprakash had the opportunity to meet thinkers like Ram Manohar Lohia, Ashoka Mehta, Minoo Masani, P. Dantawala and Achyut Patwardhan. They all were impatient for freedom and agreed to steer the Congress toward the goal of socialism. Jayaprakash was released from jail in 1933. 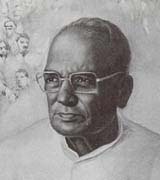 In 1934, Jayaprakash and his friends formed the Congress Socialist Party under the Presidentship of Acharya Narendra Deva and secretaryship of Jayaprakash himself. The group intended to function as the Socialist wing within the Congress party and aimed to make socialism the goal of the Congress. In a book "Why Socialism?" (1932), Jayaprakash explained why socialism would be right for India. He was adored by the youth for his idealism. Jayaprakash was arrested for speaking against Indian participation in the Second World War in February 1940 and sent to Deoli detention camp in Rajasthan. Jayaprakash was appalled at the conditions in Deoli. He organized a hunger strike to protest the conditions in 1941. The Government immediately released him. He was again arrested in 1942 for participating in the Quit India movement. In November 1942, Diwali night, Jayaprakash along with five others escaped the prison by scaling the 17 feet high wall while the guards remained distracted by the festivities. A Rs. 10,000 reward was offered for Jayaprakash's capture, dead or alive. Jayaprakash escaped to Nepal and organized a guerilla army called the "Azad Dasta". Jayaprakash and Ram Manohar Lohia were captured briefly but were rescued by the Azad Dasta members, who set fire to a hut to distract the guards. Both freedom fighters escaped to Bihar. Finally the British closed in on Jayaprakash in Amritsar when he was on his way to Rawalpindi to meet Khan Abdul Gaffar Khan. Jayaprakash was taken to Lahore Fort, notorious as a "Torture chamber" on September 18, 1943. 16 months of mental and physical torture followed. Jayaprakash was put in solitary confinement for the first month. Then came interrogations, physical torture and humiliation. Jayaprakash was released from jail on April 12, 1946. Jayaprakash returned to a nation he could barely recognize. Talk of partition and riots between Hindu and Muslims dominated the atmosphere. Jayaprakash rushed to Bihar to assist in curbing the riots. He pleaded with the Congress Working Committee not to accept the partition plan. Independence finally came on August 15, 1947. Within a year Gandhiji was assassinated. Prabhavati hid her sorrow behind the spinning wheel, but Jayaprakash's mind "churned (with) grief and horror." He began to see the wisdom in Gandhiji's insistence on truth and non-violence. The Socialists lost to the Congress in the 1952 elections. Nehru invited Jayaprakash to join the Cabinet. When Nehru could give no assurances on the implementation of Jayaprakash's 14 point plan to reform the Constitution, the Administration and Judicial system, nationalize the banks, redistribute land to the landless, revive Swadeshi, and setup cooperatives, Jayaprakash refused the offer. Jayaprakash turned his attention to the trade unions he was President of. He, along with the unions was able to get a minimum wage, pension, medical relief and housing subsidy introduced. At the same time, Jayaprakash was keenly watching events in Russia. The bloody purges and imprisonment convinced Jayaprakash that communism was not for India. He realized that Gandhiji's success in the freedom struggle had showed that it was possible to bring about change without sacrificing one's values. On April 19, 1954, at a meeting in Gaya, Jayaprakash made the dramatic announcement of dedicating his life (jeewan daan) to Vinoba Bhave's Sarvodaya movement. He renounced all self-interest, gave up his land in Sitabdiara, and withdrew from all personal activity to devote the rest of his life to the movement. Prabhavati was delighted at this declaration. Jayaprakash set up an ashram at Hazaribagh, a poor and backward village. He gave Gandhian concepts a new dimension by using modern technology to uplift the village. Jayaprakash believed that every village should be like a small republic - politically independent and capable of taking its own ecisions. It was a marriage of Gandhian-Indian concepts and modern Western democracy. His thoughful, well-researched and brilliant book, "The Reconstruction of Indian Polity," won him the Ramon Magsaysay Award. In June 1971, Sarvodaya workers in Muzaffarpur, Bihar, received a letter threatening to kill them. The area was continuously threatened by Naxalites, which was made up of young men. Jayaprakash walked into the heart of Naxal territory armed only with love and sympathy. He knew that the cause of the violence was that the youth were frustrated because of poverty and unemployment. He lived in Musahari block for many months and experimented to alleviate the problems of the Naxals. Jayaprakash was also a key person in acquiring the surrender of dacoits in the Chambal Valley. On April 15, 1973, Prabhavati died of cancer, leaving Jayaprakash alone. 1974 ushered in a year of high inflation, unemployment and lack of supplies and essential commodities. Jayaprakash was asked to lead a peaceful agitation by the Navanirman Andolan of Gujarat. On April 8, 1974, at the age of 72, he led a silent procession at Patna. The procession was lathi charged. On June 5, 1974, Jayaprakash addressed a mammoth crowd at Gandhi Maidan in Patna. He declared, "This is a revolution, friends! We are not here merely to see the Vidhan Sabha dissolved. That is only one milestone on our journey. But we have a long way to go... After 27 years of freedom, people of this country are wracked by hunger, rising prices, corruption... oppressed by every kind of injustice... it is a Total Revolution we want, nothing less!" On June 12, 1975, the Allahabad High Court held the Prime Minister, Mrs. Indira Gandhi, guilty on charge of corrupt practices in the election. Jayaprakash advised her to resign until her name was cleared by the Supreme Court. Instead, she clamped Emergency on June 26. Jayaprakash was arrested and sent to Chandigarh where he was kept prisoner in a hospital. "My world lies in shambles around me," he cried. As his health worsened, he was moved to a hospital in Bombay. Finally in January 1977, Emergency was lifted. Fresh elections were declared. Under Jayaprakash's guidance several parties united to form the Janata Party. The party incorporated all of Jayaprakash's goals in its manifesto. Jayaprakash was weak and helpless by that time. He felt his work was done, but he had to sorrowfully witness the collapse of the Janata Party government. 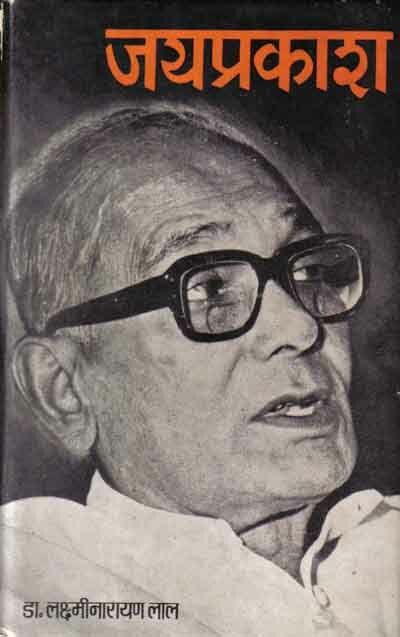 Jayaprakash died on October 8, 1979. People hailed him as "Lok Nayak" or leader of the people. Vinoba Bhave said after Jayaprakash's death that Jayaprakash considered himself only a "Lok-sevak," or servant of the people.